Days after nationwide protests calling for a ban on the use of 1080 poison in forests, a 24,000 hectare bait drop was launched in the Remutaka Ranges. A break in the weather has allowed OSPRI to carry out a pre-feed pellet drop on Monday, which will be followed by cereal baits treated with 1080 toxin aimed at killing possums, potential carriers of bovine tuberculosis. Thousands of anti-1080 protesters marched across the country on Saturday imploring the Government to stop allowing the controversial poison to be used. Protest organiser Kevin Moratti has been fighting against the poison for years and questioned the timing of the latest drop. “Currently they are dumping as much as they can as quickly as they can. The pressure is coming on now because people are standing up to be counted,” he said. He questioned the need for such programmes when TB has virtually been eradicated from the region. An OSPRI spokesman said the 1080 programme is an important component of its plan to eradicate bovine TB by 2026 and these operations were planned years in advance. OSPRI is a partnership between primary industries and the Government and manages two national programmes – NAIT and TBfree. 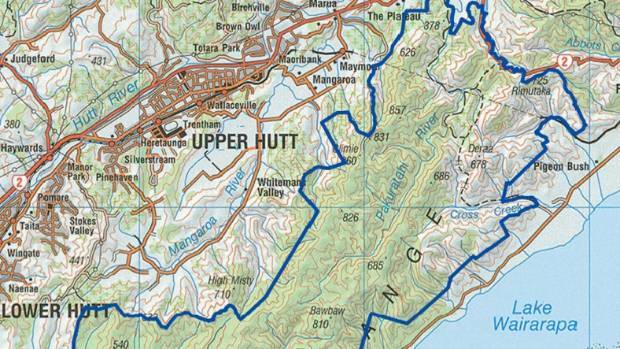 OSPRI’s 1080 drop zone in the northern Remutaka Ranges covers 24,000ha between the Hutt Valley and Wairarapa. “The operation will prevent the spread of TB from the Northern Remutaka wildlife via possums into neighbouring farmland. Cattle herds in the southern Wairarapa have a long history of TB infection,” the spokesman said. Department of Conservation, Federated Farmers and Forest and Bird all support the use of 1080, saying predator pest numbers are so high that without action some native forests would be seriously damaged. OSPRI said killing possums and rats also brings biodiversity benefits for native plants and birds in this area. It cited Victoria University studies of nearby Aorangi Forest Park showing the effect on native bird populations was negligible. Warning signs have been placed at all public access points to alert people to the aerial operation and the danger to dogs. Free dog muzzles and information on Keeping Your Dog Safe are available at Forest Park headquarters, through DOC visitor centres and online at ospri.co.nz.